Looking for a little extra luck? 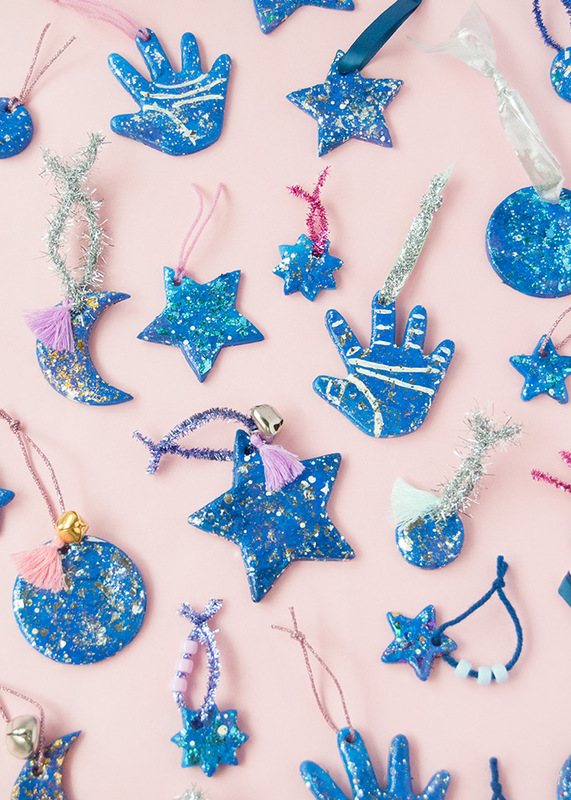 Make your own charms using air dry clay and Glitterific paint! 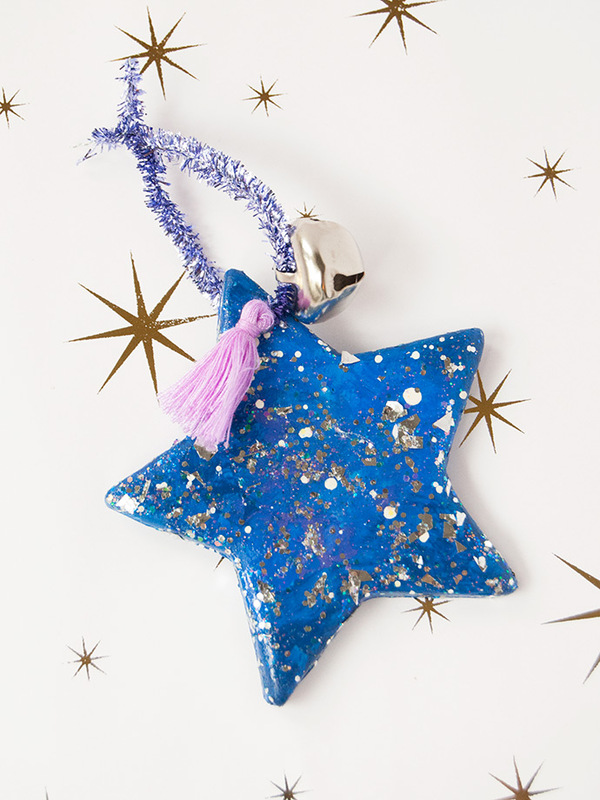 We used the night sky and fortune tellers as our inspiration for these glittery blue and purple charms. 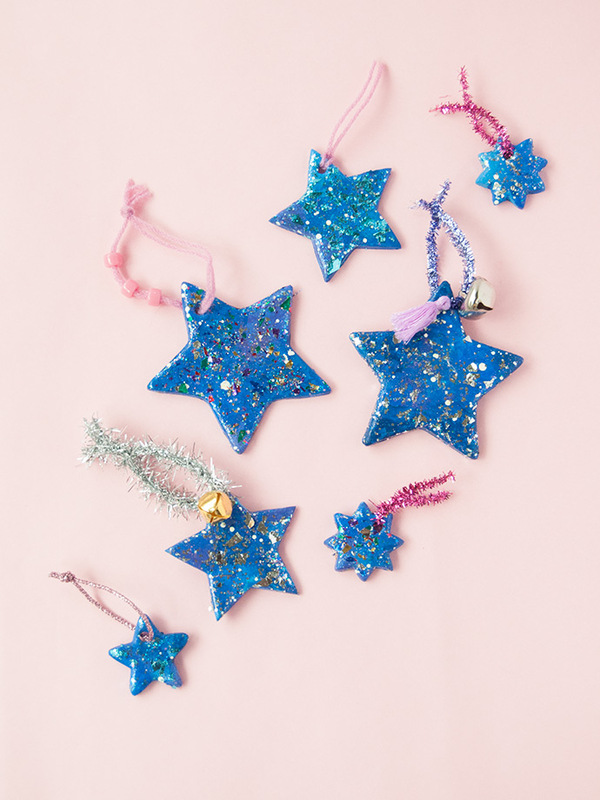 They’re so quick to make and are great little gifts to give to friends when they need a little luck on an upcoming test or exam! 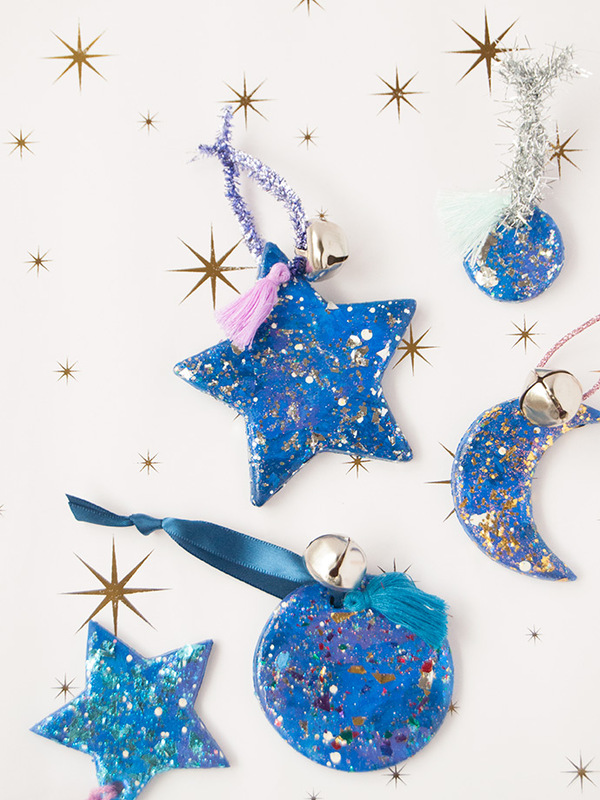 The addition of glitter really makes these charms shine. 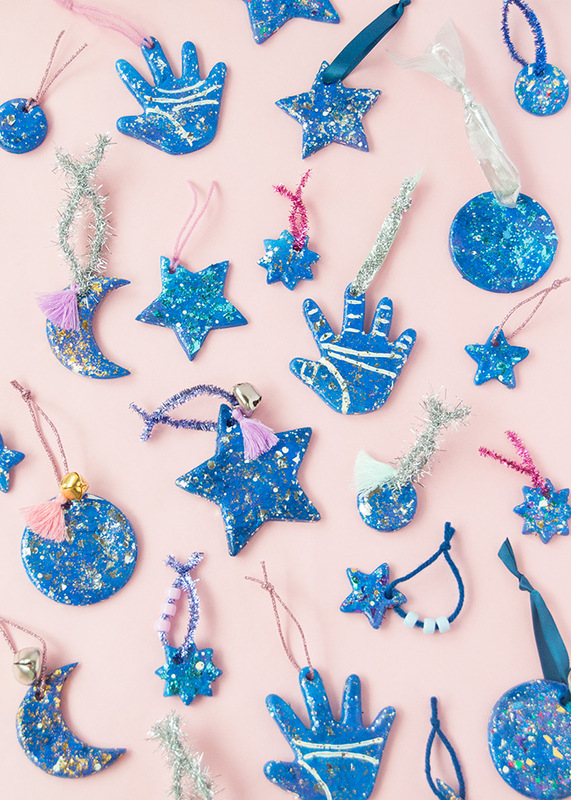 Glitterific paint is the perfect way to accomplish this without the mess, and you won’t be finding stray glitter for days like you would with regular glitter! Keep reading for the full instructions below … and good luck! 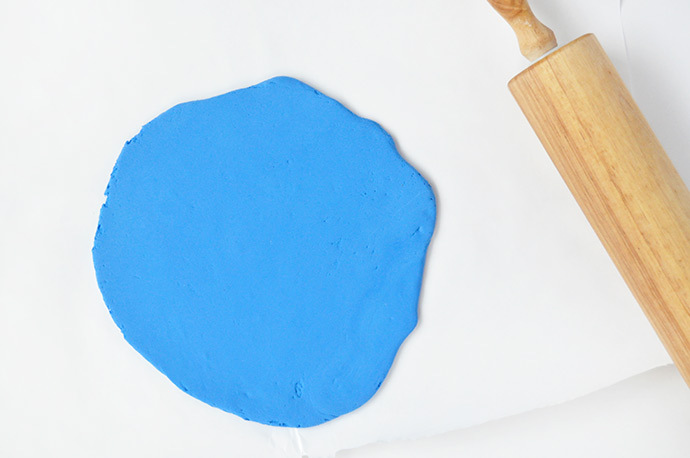 Begin by rolling out your air dry clay until it’s about 1/2″ thick. 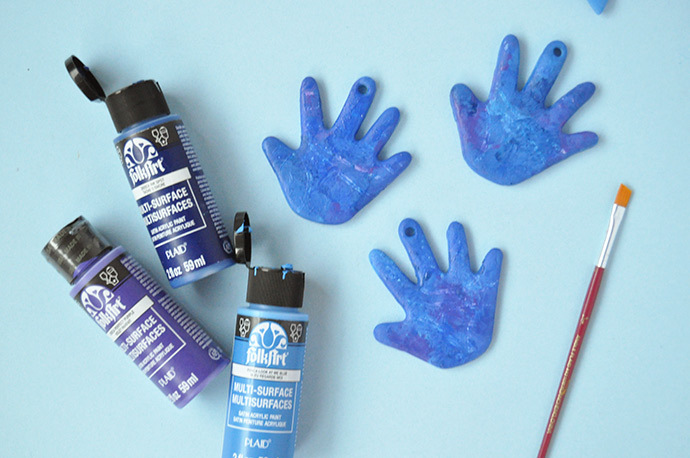 We used blue clay, but you can use any color since we’ll be painting them later. 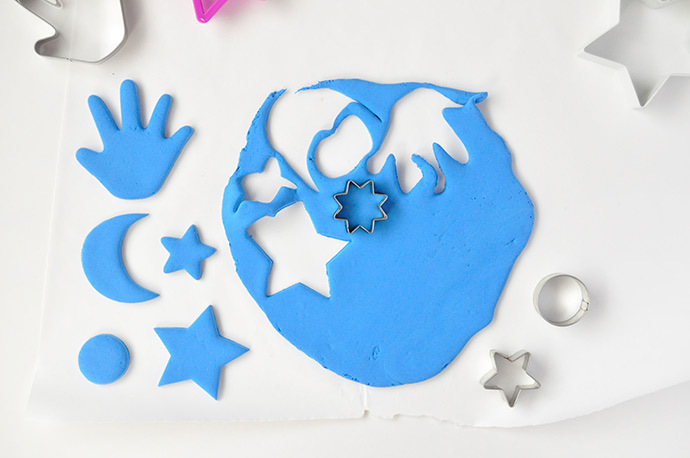 Cut out shapes using your cookie cutters. 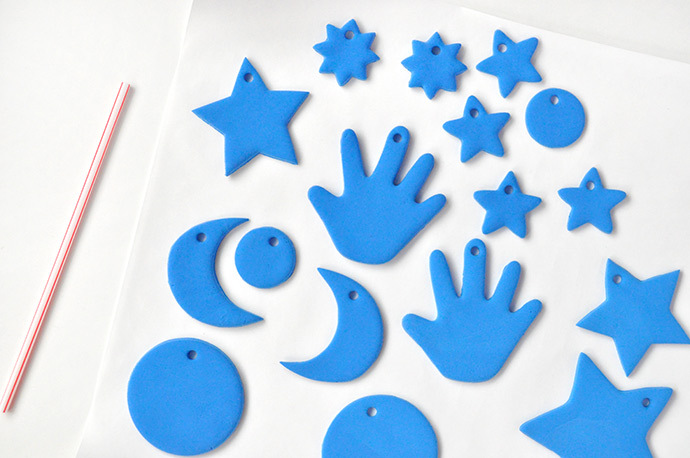 Shapes like stars, moons, and hands are great if you’re going for a magical, fortune-teller look like we did. 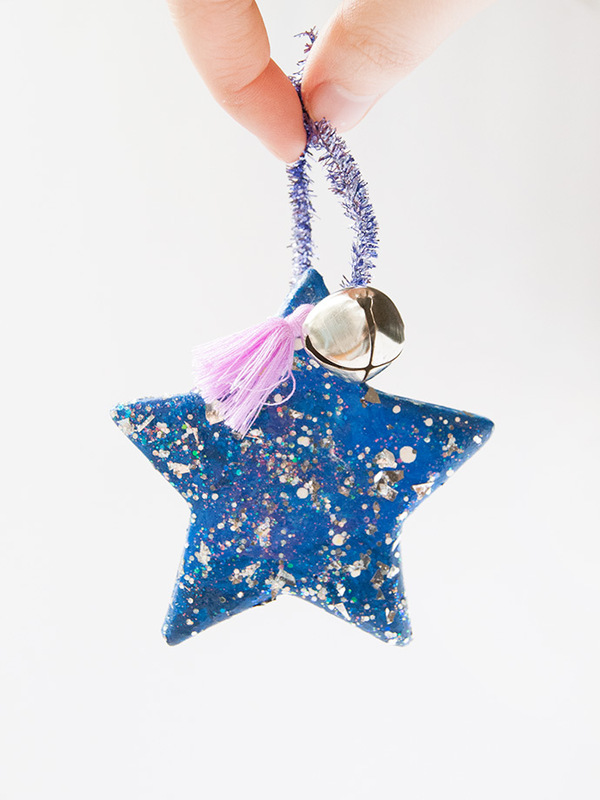 Use a recycled drinking straw or paper straw to poke a hole into the top of each ornament. Let dry completely according to the package directions. Time to get painting! 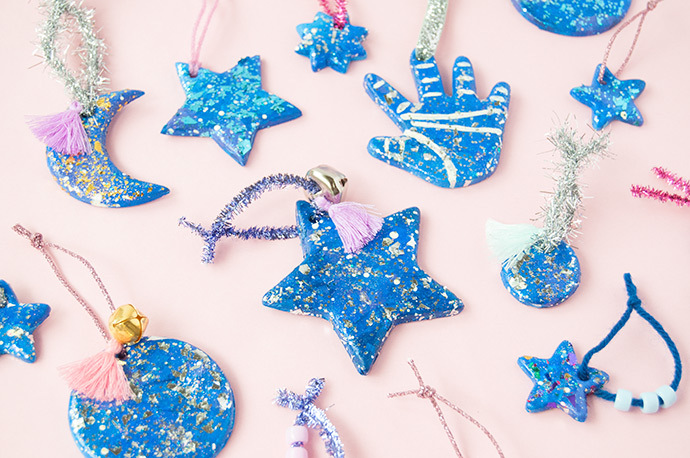 We used a few different shades of blue and purple paint to create an almost splotchy look, like a galaxy or the night sky. You can do this with multiple paintbrushes and blend the colors together roughly, or use a natural sponge to create more speckles. Let dry. 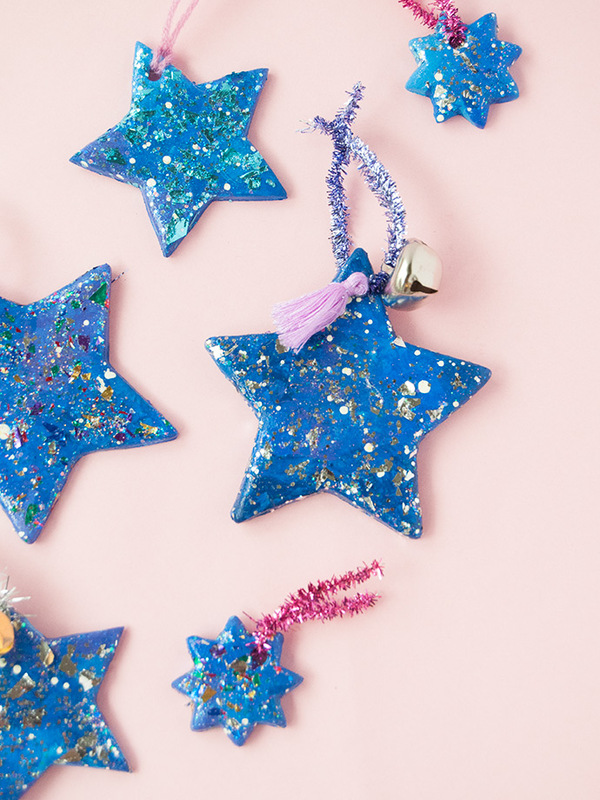 For a bit more depth, we use a paintbrush to spatter white dots over the charms. Let dry. 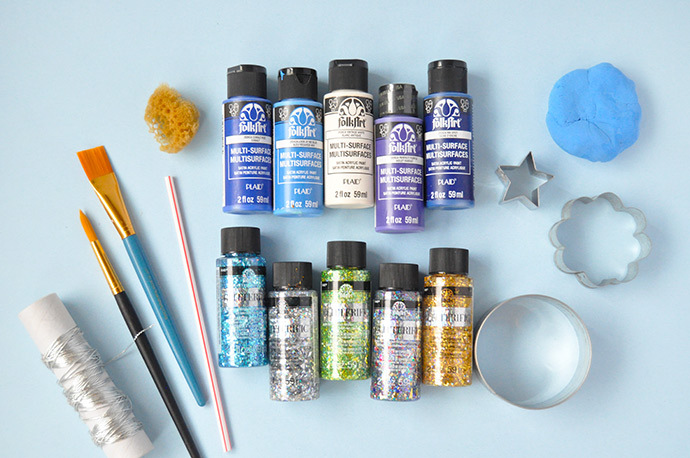 And now for the fun part: pick out your shades of Glitterific and use a paintbrush or foam brush to apply it onto each charm. 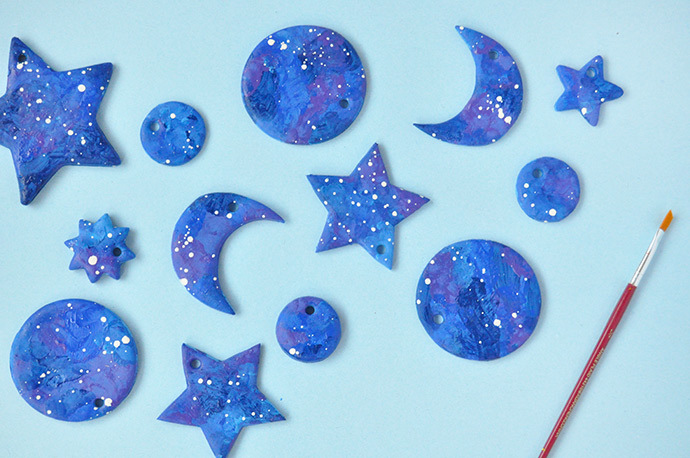 Mix and match colors for a magical, celestial feel. We loved using gold, kaleidoscope, aqua, and silver from this set. 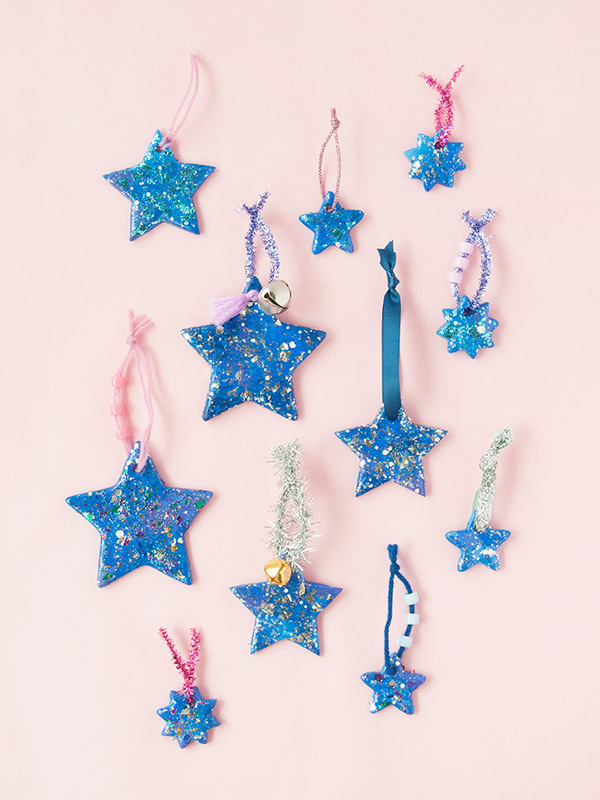 Let Glitterific dry completely and then add a loop of string through the hole and add on beads, bells, and tassels if you like. 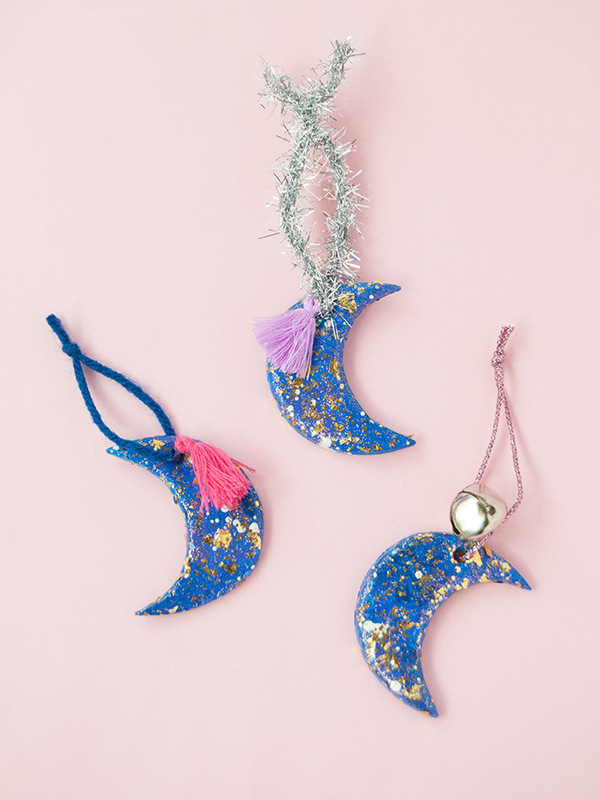 Loop these charms onto a backpack, keychain, or just keep them in your pocket! Good luck and happy crafting! !